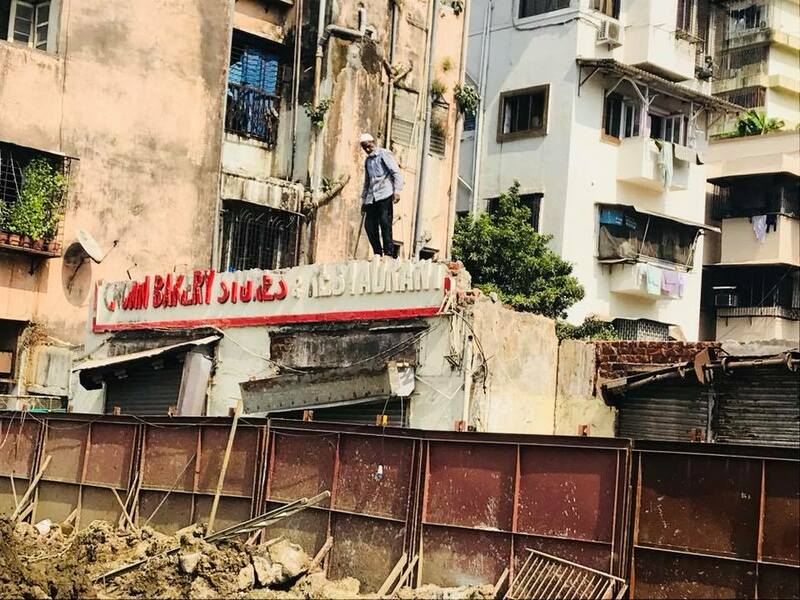 The iconic Crown Bakery in Mahim has made way for the Metro Line 3 project and locals have been ruing the end of the 63-year-old institution reports MumbaiMirror. “Generations have grown up eating its brun maska and kheema pav, and spending leisurely evenings sipping on Irani chai” recalls Roy Pereira. Nandakumar Vijayakar echoes his sentiments. “Now no more queues for fresh hot pav, no more chicken cutlets, no more rum cakes,” he laments. 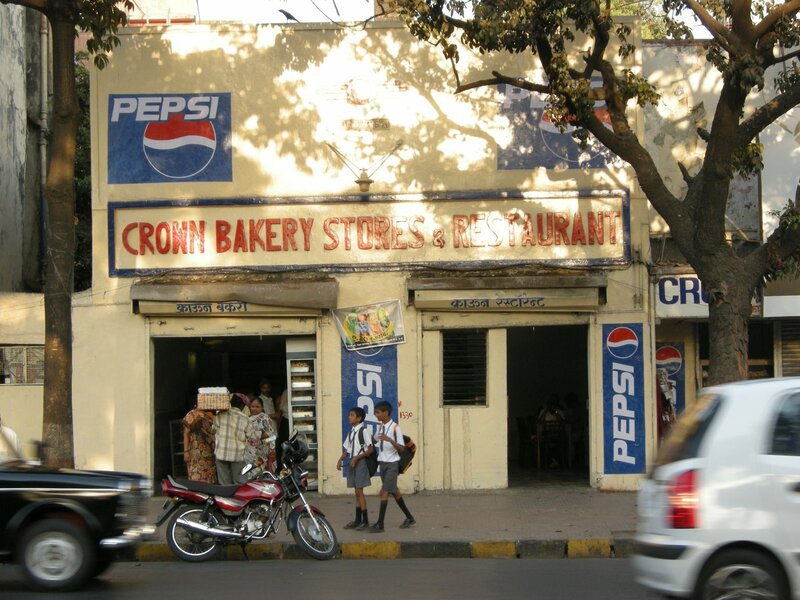 Established in 1954 by Khodaram Golabi, and later run by his grandson, Rohinton Khosravi and his elder brother, Crown Bakery Stores and Restaurant served generations of Mahim locals. We remember a memorable afternoon spent at Crown some years back here. You can read a little more on Crown falling victim to the Metro project here. And there's a video from the folks at Mumbai Live here. top : the remains of Crown Bakery, Stores and Restaurant January 2018, courtesy Mansour Showgi Yezdi. bottom : Crown Bakery, Stores and Restaurant, March, 2009. Oh How sad. Hope they can build it again even if as a small shop. I loved the Bakery & regularly used to stock up nankatai's, toasts, and cakes on my home from office. My father-in-law used to treat his workers with all time favorite Mava Samosa.